The last time two tycoons faced off head-to-head in a Battle of the Billionaires, Donald Trump clotheslined Vince McMahon and shaved his head at Wrestlemania 23. 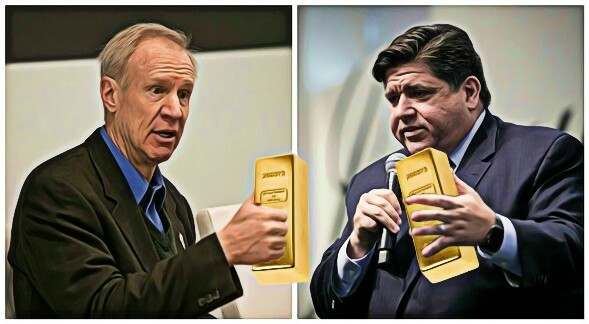 Illinois’s gubernatorial version of the Battle of the Billionaires? It promises to remain a war of words—and money—lots and lots of money. Governor Bruce Rauner and J.B. Pritzker, the two ultrawealthy front-runners, were both victorious in Tuesday's primary, setting up what could be the most expensive election for governor in U.S. history. The previous spending record of $280 million was set by California’s 2010 contest between Democrat Jerry Brown and Silicon Valley executive Meg Whitman. But with Pritzker and Rauner still standing for November's general election—expect the campaign cash to rain down. Rauner had a lower approval rating than President Donald Trump in a state Trump lost by more than 20 points, but he still narrowly defeated extreme conservative Jeanne Ives. The former private equity investor splurged almost half of his $102.8 million war chest in the primaries ($46.4 million) from Jan. 1 2015 through Dec. 31 2017 to beat his right-wing opponent, according to ProPublica. Likewise, J.B. Pritzker, the billionaire heir to the Hyatt Hotel fortune, fended off progressive state senator Daniel Biss and developer Chris Kennedy in the Democratic primary, easily winning with 45 percent of the vote Tuesday. Pritzker spent $34.3 million of his $69.5 million self-funded campaign. That's compared to $3 million spent by the late senator Robert F. Kennedy’s son and $2 million by Biss. Pritzker, along with Rauner, blanketed the airwaves with campaign ads in recent months. His commercials appeared almost 34,000 times since the first one ran last May 3, according to Kantar Media’s CMAG. Biss ran his commercials about 3,200 times. Biss tried to campaign against Pritzker's enormous wealth, estimated at $3.5 billion, often referring to the primary in his speeches as "an auction, not a race." 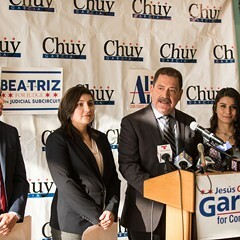 His campaign created an online calculator that pictured Pritzker in a tux and noted that Illinois's third-wealthiest man was investing an average of about $171,000 a day from his fortune to try win a job that pays $177,412 a year. The site asked visitors to enter their own salary to see how quickly Pritzker would spend it. Biss and Kennedy also attacked Pritzker's connections with offshore tax havens. A Tribune investigation published last week found several shell companies owned by or connected to the billionaire as part of the Paradise Papers, a huge trove of financial documents leaked in 2017 that shed light on politicians, celebrities and wealthy individuals that use complex structures to protect their cash from higher taxes. Pritzker maintained that those accounts were focused on charitable giving and that he had no control over them. Noting Pritzker's apparent hypocrisy of calling for a progressive income tax in Illinois and demanding the rich "pay their fair share" but hiding some of his fortune in offshore havens, Biss called him a "fraud" while Kennedy labeled him a "liar" and demanded he leave the race. Biss, who ended up in second place in the primary with 27 percent of the vote, on Tuesday night thanked his supporters for at least making the race competitive despite his being vastly outspent. "This campaign has been an antidote to the idea that we didn't have power," he said. In a bizarre move, Rauner criticized Pritzker for both hiding his money and for not making more of it. "You have to be one of the worst investors on the planet to only generate $16 million of income on $3 billion of assets," said Rauner. "How do you do that? By hiding from taxes and tax avoidance. That's how you do that." 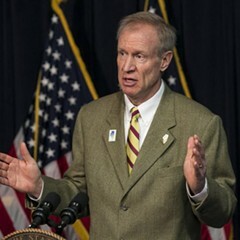 What Rauner didn't mention is that while he was chairman of the private equity firm GTCR before becoming governor in 2014, he invested in several of his company's offshore investment pools registered in the Cayman Islands. Rauner, whose net worth is estimated at $1 billion, has run a mostly self-funded campaign. He personally contributed $50 million to his own campaign two years ago, and got $20 million from yet another billionaire-hedge fund founder Ken Griffin. In other words: Illinois may be extremely broke as a state, but it’s gubernatorial candidates are surely not.